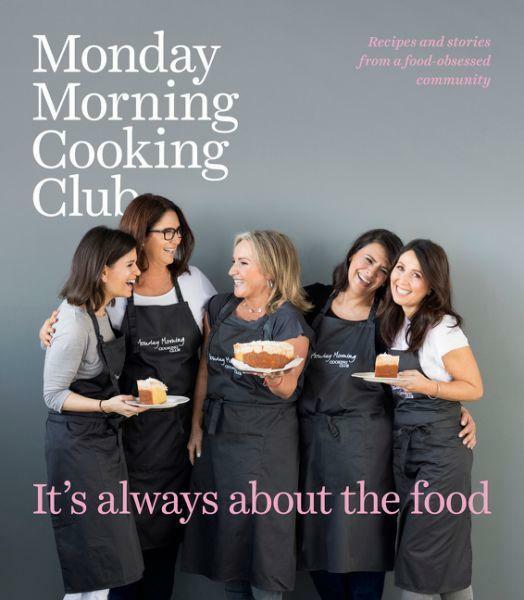 The bestselling, passionate and unstoppable women of the Monday Morning Cooking Club return with their third book of much loved and favourite Jewish diaspora recipes. The Monday Morning Cooking Club started as six food-obsessed and unstoppable Jewish Sydney women who loved food, wanted to raise money for charity and wanted to create beautiful cookbooks. These books would collect the very best recipes from their community as well as honour and share stories of immigration, survival, joy, family and connection. Two bestselling books later, and now a group of five women, the Monday Morning Cooking Club returns with a stunning third book which is the result of a two year search for recipes from the global Jewish diaspora - those much-loved dishes that have nurtured a community and have been feeding family and friends for years. It’s Always About the Food is a delicious and rich, story-filled snapshot of cooking in the global Jewish diaspora, which gathers together the very best cooking and favourite recipes from the global Jewish community, reflecting the Jewish people’s love for food and cooking, and the importance of the family table. This book is all about the food, flavours and the most delicious family recipes - not from a restaurant or a test kitchen, but from the heart of the home. Ultimately, in this big, fast world, food is the connective thread that joins us together, and all over the world, the ritual of cooking grounds us, connects and nurtures us.